House Majority Leader Kevin McCarthy wants to be the next Speaker of the House when current Speaker Paul Ryan’s tenure comes to an end. McCarthy has a conservative challenger in House Freedom Caucus founding member Jim Jordan. To court the Republican base, McCarthy is hammering big tech companies for what many conservatives think is bias against and censorship of conservative voices on social media platforms. WASHINGTON – The race to become the next Speaker of the House and succeed Paul Ryan as the top Republican in the lower chamber has been heating up for some time. Any Republican who wants to wield the gavel will have to receive President Donald Trump’s blessing and curry significant favour with the GOP base. For current House Majority Leader Kevin McCarthy, he is going after big tech companies for what he and many other Republicans believe is systemic bias against conservative voices on their platforms. There is no shortage of conspiracy theories on the far right, but one of the more common theories is that companies like Twitter, Facebook, and YouTube suppress conservatives because most of their employees are from coastal, progressive regions of the US. The idea has even been the subject of multiple congressional hearings and was a topic many lawmakers spent the bulk of their time questioning Facebook founder and CEO Mark Zuckerberg about when he testified before the House Commerce Committee in March. 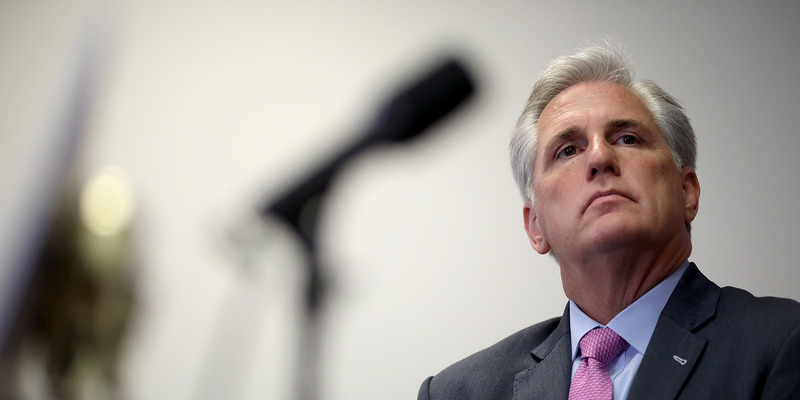 McCarthy is part of the Republican establishment, where there is a significant gap between him and Rep. Jim Jordan, who is challenging him for Speaker of the House from the right. On Thursday, McCarthy sent a letter to House Commerce Committee Chairman Greg Walden asking him to haul in Twitter CEO Jack Dorsey for a public testimony on bias allegations. In recent weeks, McCarthy has gone all in on the strategy of taking on big tech, though much of it has been all over the place. In June, McCarthy wrote an op-ed at the far right news website Breitbart about alleged bias in big tech and slammed Google for mislabeling the California Republican Party as being associated with Nazism. But a Google spokesperson told WIRED that the mislabeling was an error brought on by “vandalism” of the party’s Wikipedia page, not a direct action by Google. And McCarthy has moved to holding big tech responsible for what other individuals say on their platforms, such as insults against members of the Trump family. When an Oregon congressional candidate wrote on Twitter that First Lady Melania Trump “works by the hour,” McCarthy jumped on the opportunity to call for Dorsey to ban the user from Twitter. McCarthy’s jabs at Twitter, Google, and the like are hardly outside of the Republican mainstream now. During a July House Judiciary Committee hearing examining social media content filtering, Rep. Steve King probed a Facebook representative as to why the far right blogger “The Gateway Pundit” saw a loss of web traffic in recent months. During the same hearing, several Republican lawmakers questioned tech representatives about whether or not the left-leaning Southern Poverty Law Center has editorial control over fact checking operations. And the issue is only likely to continue on Capitol Hill. Twitter’s Dorsey and Facebook COO Sheryl Sandberg are set to testify before the Senate Intelligence Committee in September. As Republicans, especially McCarthy, continue to hammer big tech, more hearings are likely to come.